fashioncents420 has no other items for sale. TARTE~High Performance~PORELESS~Primer- Mattifying ~BNIB~Sealed~LOW GLOBAL SHIP! Bobbi Brown Vitamin Enriched Face Base Foundation Primer Full Size 1.7 oz. Looks good, feels good. Love it! 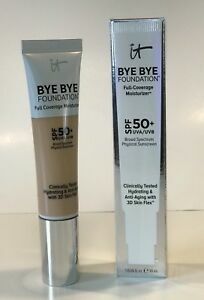 I love the coverage,the moisturizer bonus and ease of application. Good color, blends right in.I am using every day even to stay in because it feels good and I look good. Very long lasting., measured pumps. Love it !Looks good, feels good ! This is a great moisturizer AND looks terrific on the skin. It is easy to apply with fingers or sponge. My face looked great and it lasted all day until I removed it. 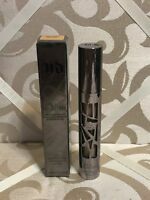 I tried this in light which I usually wear and it's a bit darker but not too dark, what I dont like about it is that it shows lines worse in my opinion and it looks caked on even when I apply only a small amount. I think I'll just stick to my makesence tinted moisturizer instead. This also makes you look fake and like you have alot on and if you wipe with tissue you will see all the product. I liked that that the order shipped very quickly. And i like the It Makeup but i was very disappointed because the advertisement stated full size 1.08 oz. But i received the 1 oz size.